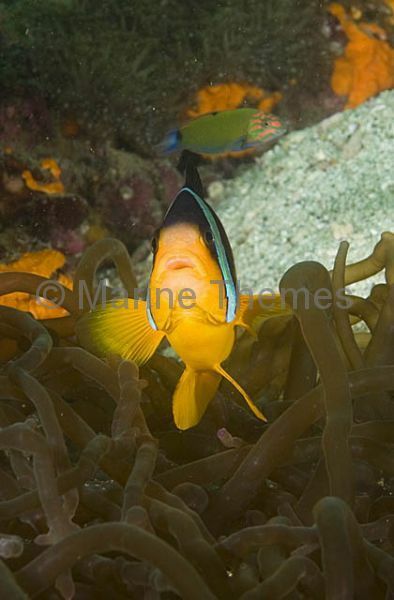 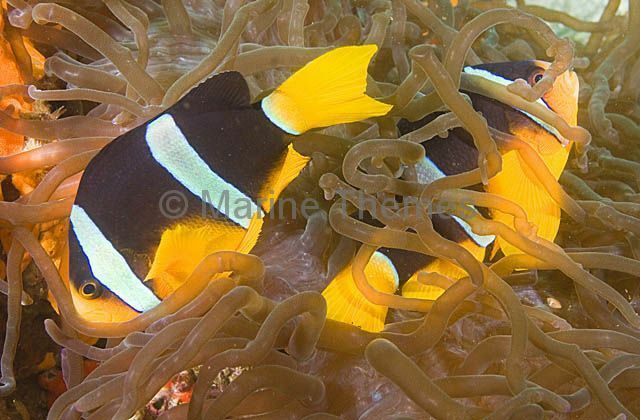 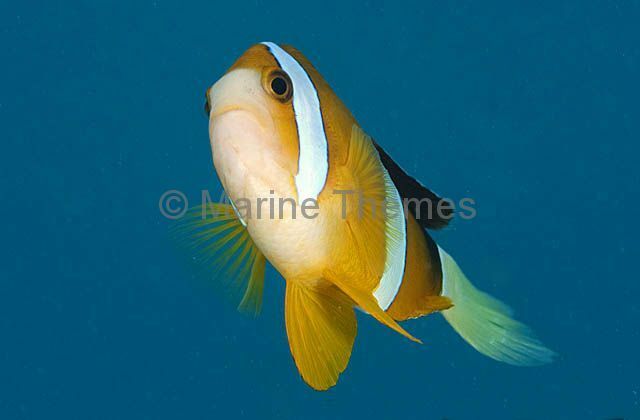 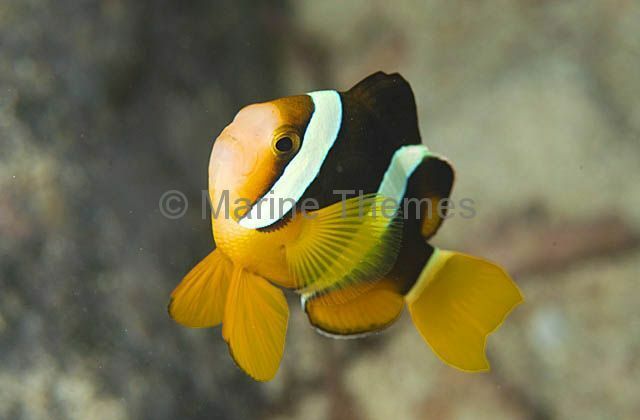 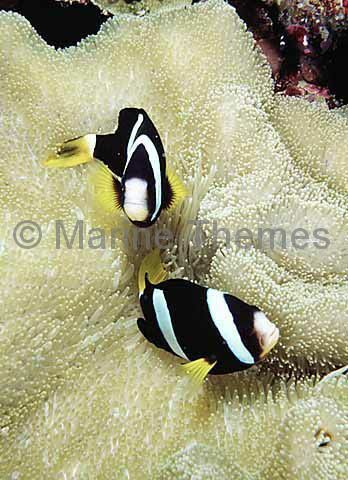 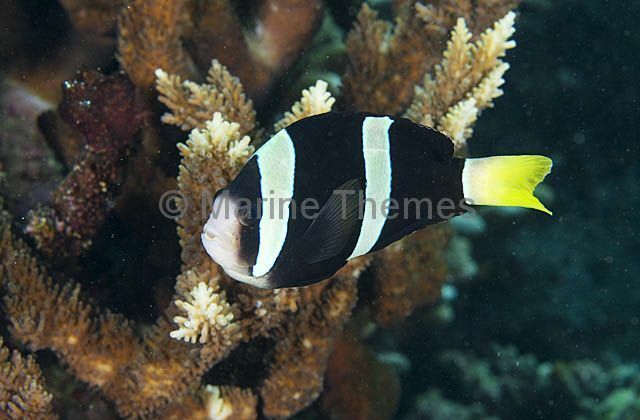 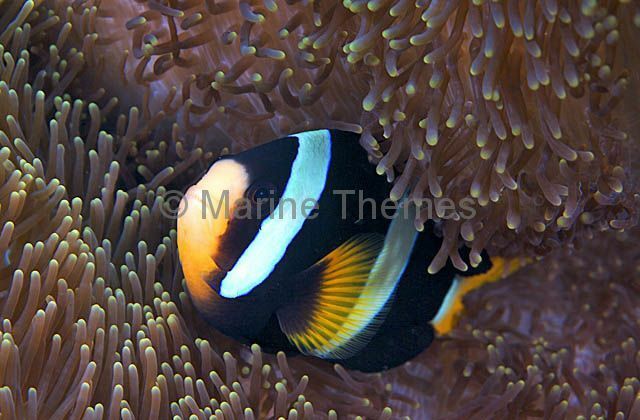 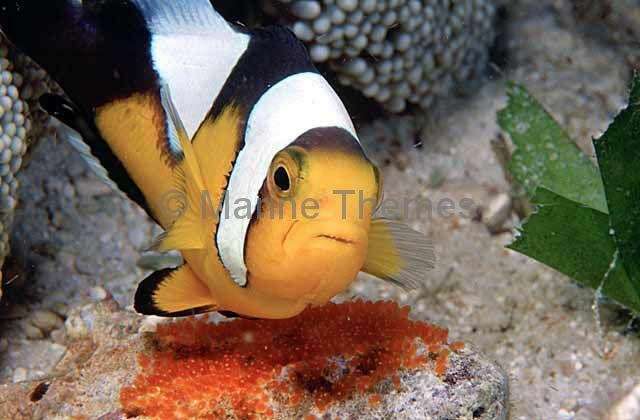 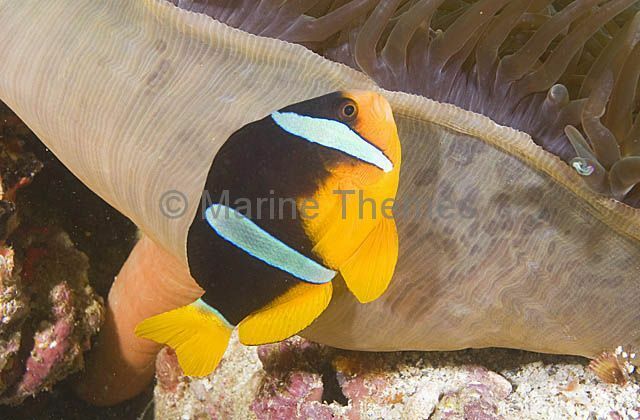 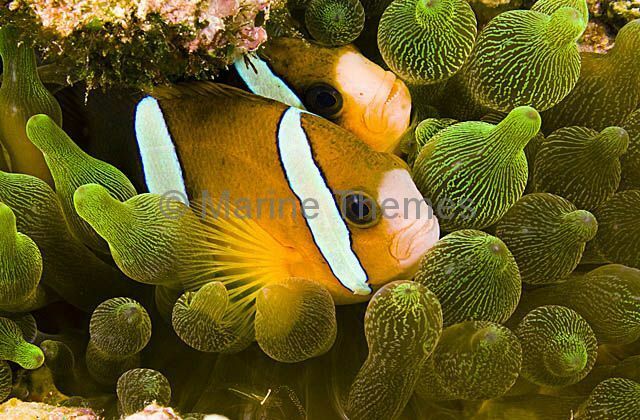 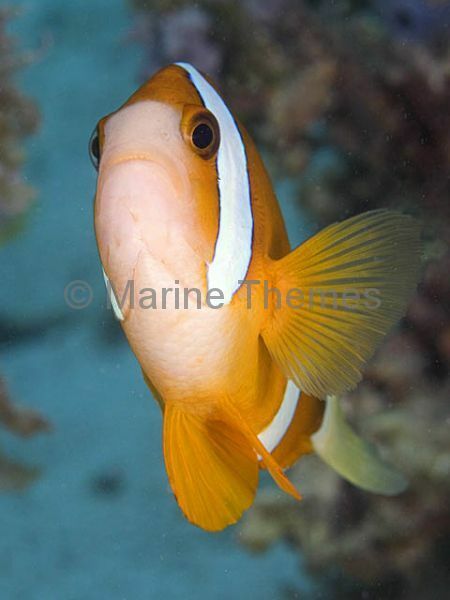 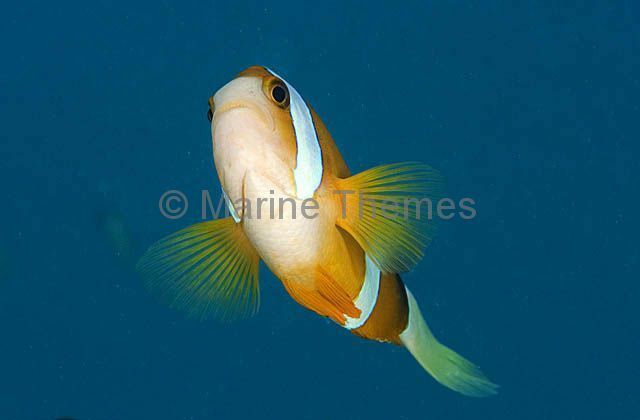 Clark's Anemonefish (Amphiprion clarkii) caring for eggs attatched to coral reef next to host anemone. 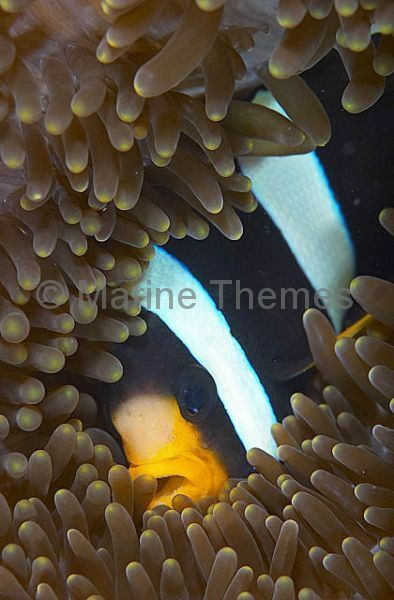 Clark's Anemonefish (Amphiprion clarkii) nestled into host anemone. 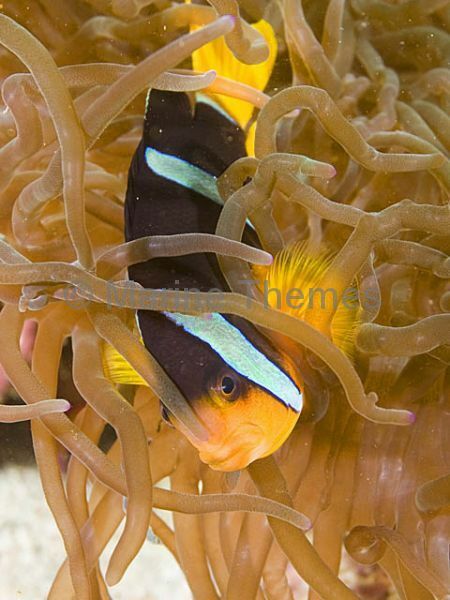 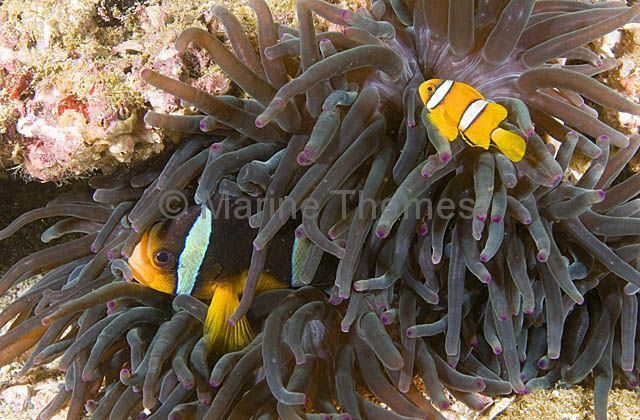 Clark's Anemonefish (Amphiprion clarkii) swimming in mid water out of the protective tentacles of it's host anemone.